So off he went to the market. He looked all over the place but still could not find his calf. He bought the first two items, shupari and then tobacco. It took him a long time to find someone who would sell him oil. Dorani seemed not to heed his words, yet when he came to praise her singing, she looked up with a start. His voice was trembling and his eyes were shining as he tried to paint a picture of her song. Lemon cultivator of Muajirabad village, Shachin Deb said he had started lemon cultivation in 1973. At this initial stage, he had bought only 10 bighas of land. Now his lemon garden is nothing short of 40 acres. 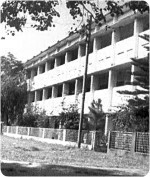 The college was established on 4.20 acres of land. Shafir Uddin joined the anti-British movement in 1931 and was later sent to jail. 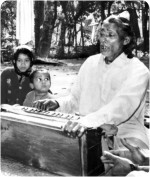 He died at his residence in Jamalpur town on December 21, 1970. The college was nationalized in 1980.